Ready To Get Lost In A Single Screen? Mike is a decent man. An ordinary one, you might say. But he is no pushover when it comes to capturing the enchanted hat from his nemesis, Divider. Divider’s hat changes everything, including the position and direction of the screen. Mike’s only hope is to collect the cursed keys, and catch Divider through different locations and traps. 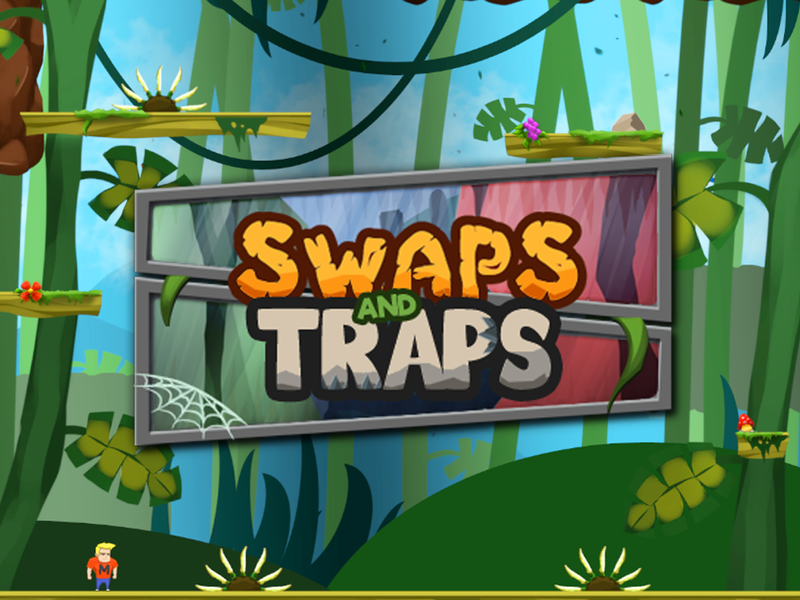 Swaps and Traps is a fun little game, which will challenge your platformer skills as well as your eyes and necks. As you collect a key in a scene, you also trigger the main trap of the game. Portions of your screen will swap, turn and even flip horizontally and vertically to give you one unique adventure. 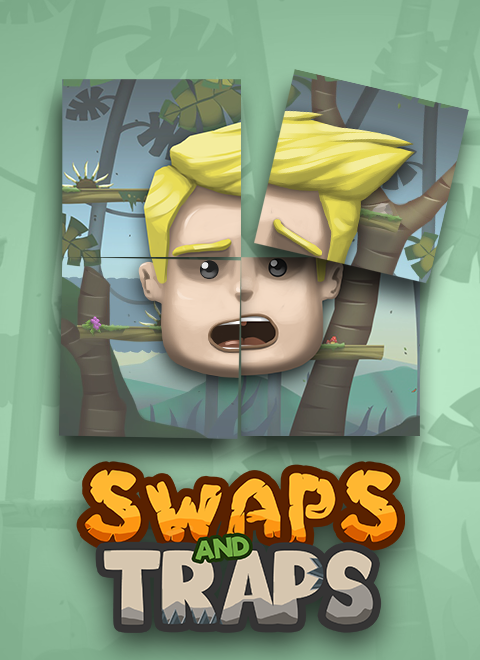 So, it's been almost 4 months since we launched Swaps and Traps on Steam. Since then, we've been trying different things to learn more about visibility dynamics and how it affects the statistics of our game. Due to NDA restrictions, we cannot share direct numbers but here are some recent things that we tried. This was a good decision. We entered a weeklong deal, which resulted in a boost for our Steam visibility, introduced our game to new gamers on Steam and resulted in increase in out wishlist. Nothing to make us a homepage hit, but definitely a good step towards the steady rise that we aim. We wanted to see if there is any change in Facebook ad returns, but unfortunately it still has almost too little effect. The percentage is not so different than we expected, but in order to have a recognizable impact we should have a recognizable budget to burn. Our first DLC is the soundtrack, as many people told us they liked the groovy music of our twisty adventure. We'll see in a couple of weeks if this has any impact on wishlists. Ready to get lost in a single screen? Swaps and Traps is launching to merge platform experience with unique labyrinth feeling!